Blocked Drains Sevenoaks? Do You Need Drain Repairs Sevenoaks? Or A Drain Survey In Sevenoaks? In Need Of A Plumber Sevenoaks? Need Gutter Cleaning Sevenoaks? Blocked Drains in Sevenoaks cleared fast by DrainBoss! Call on the Sevenoaks drainage experts: 07772 535248. Why should DrainBoss Sevenoaks drain cleaners should be your first choice to unblock your blocked drain? DrainBoss is a local independent company providing a personal, courteous service. We are not a franchise so we can offer favourable prices as we have no third parties to pay. We charge a set price with no call out fee, so you know what you will pay before we start work. All our staff are security-vetted and professionally trained to City & Guilds accreditation. We work to the highest health and safety standards in the industry. Customer service is unrivaled which is reflected in details like our engineers wearing shoe covers before entering your home or business premises. Discounts to OAPs, Disabled and NHS staff. Free CCTV drain check for each customer. All customers receive the unbeatable service and complete peace of mind when they call DrainBoss. We unblock drains in Sevenoaks that belong to household and commercial customers, as well as contracts for hotels, letting agents, restaurants, property management companies, clubs and pubs, councils, NHS, Councils, insurance companies and offices. We don’t just unblock drains in Sevenoaks, we also carry out drain repair in Sevenoaks. If your drain looks like it may be cracked or possibly sunk, we can send a camera down the drain to see exactly what the problem is. Should you require a full CCTV drain survey with a report and DVD, we can provide that also, and advise the best way to fix the issue as soon as possible. Our services include clearance of blocked rains, drain repair – both non-dig and dig, drain surveys, and plumbing. Emergency Plumbers Sevenoaks! Speedy Service From DrainBoss! Our emergency plumbers in Sevenoaks offer an unrivaled service. We will be there for you if have a problem that needs a plumber fast, such as a leaky tap, blocked toilet, toilet that won’t flush, leaky pipes, repair and replacement ball valves, blocked bath, and blocked shower etc. You can rely on DrainBoss to be with you quickly! 24/ 7 365 days a year. Our Sevenoaks plumbers don’t charge a call-out fee and will diagnose your problems when they visit. They will give you an exact price to repair the problem from our set price rates. All work is guaranteed and we will even do a premise plumbing inspection to ensure there are no other issues with your plumbing. 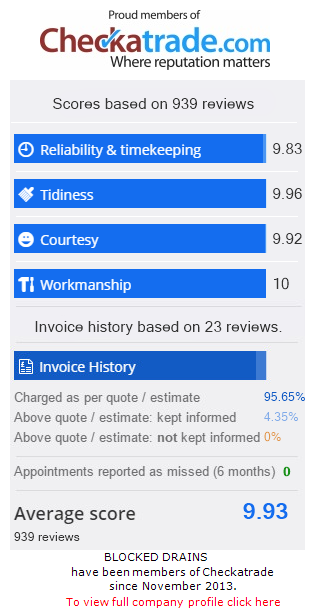 Call us now and see how our professionalism and unmatched customer service, sets DrainBoss apart from the other drain unblocking companies and plumbers. Gutter Cleaning Sevenoaks! Gutters cleaned fast and with no mess by DrainBoss! DrainBoss is a professional Sevenoaks gutter cleaning company. All our staff are security vetted and fully trained. We use the latest Gutter Vac system which cleans gutters at high levels without the need for ladders or scaffolding. It’s a lot safer, quicker and cheaper and gives our gutter cleaning customers in Sevenoaks great service and value for money. When water persistently overflows from blocked gutters it can damage brickwork and mortar leading to serious mould problems on the inside and outside of your property. We provide gutter cleaning services to customers in Sevenoaks and the surrounding areas including Tonbridge, Royal Tonbridge Wells and East Grinstead. Our customers include household and commercial properties as well as offices, schools and colleges. Don’t risk serious injury or your life by cleaning gutters up a ladder, call the professionals, call DrainBoss! Call us now and see how our professionalism and unmatched customer service, differentiates DrainBoss from any competition. Tel: 07772 535248.